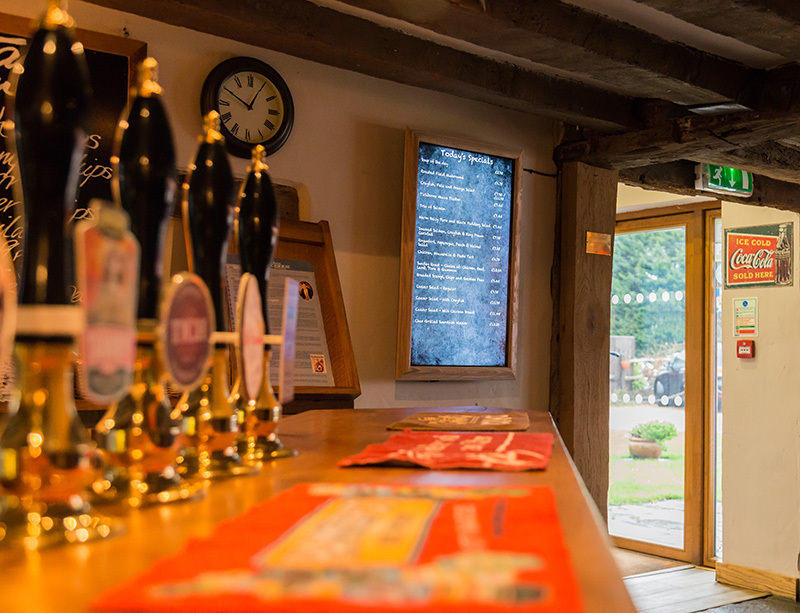 The Sir Roger Tichborne is a luxury independent pub and restaurant in Loxwood, UK, offering excellent quality food using locally sourced produce. 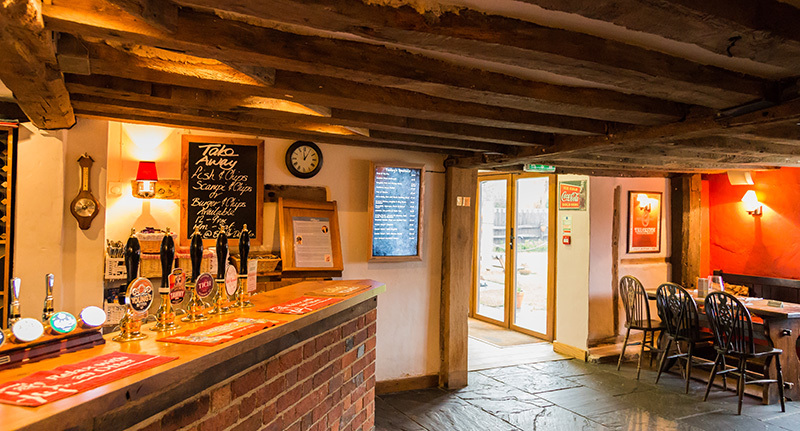 They also offer a wide selection of real ales locally and nationally sourced featuring their very own locally brewed by Loxwood Tichborne Ale “Tich”. 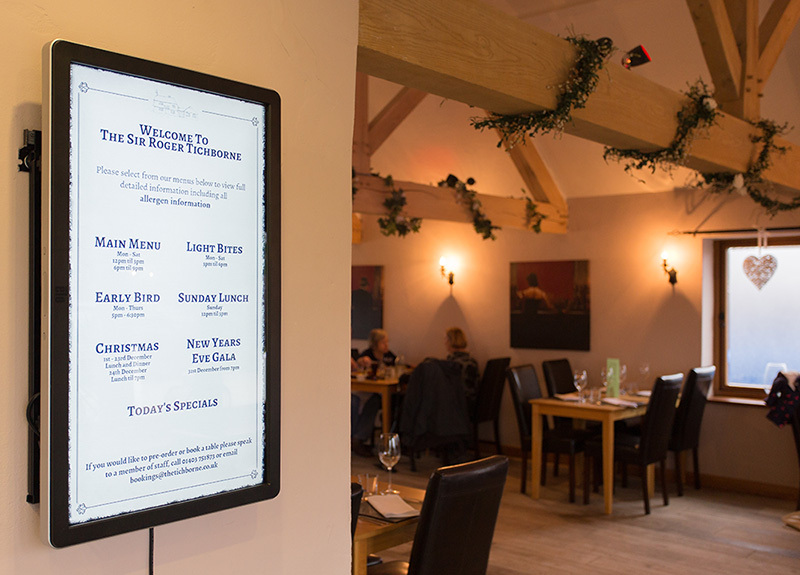 With the new Allergy Information law changes coming into force on 13th December 2014, The Sir Roger Tichborne were looking for a solution to communicate the food allergen information of all their food items to consumers. 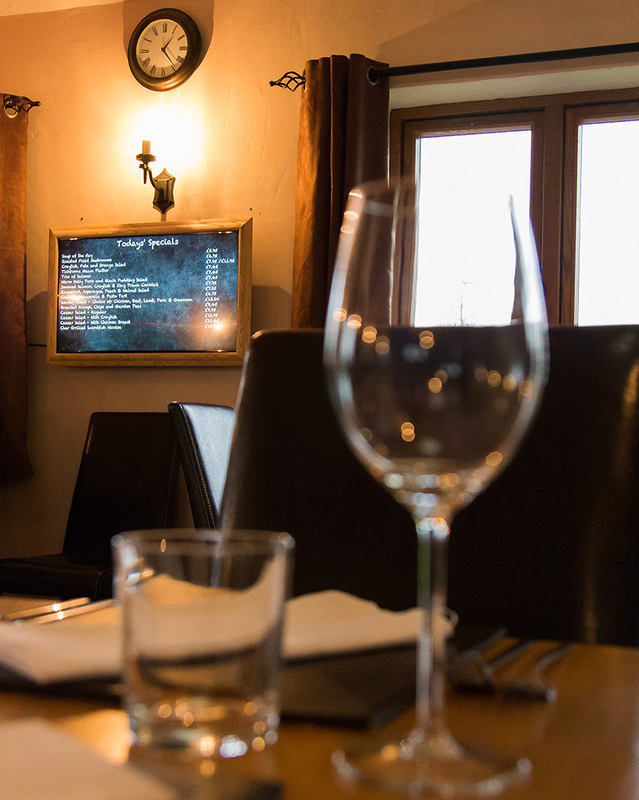 They were also looking for a more modern approach to provide daily specials information to their customers but most importantly it needed to be easy to update and fit within the warm atmosphere of the venue. Eclipse Digital Media provided a cloud based digital signage solution powered by embedsignage.com. The solution includes a 32″ ELO touch screen for the Allergy Information Board. 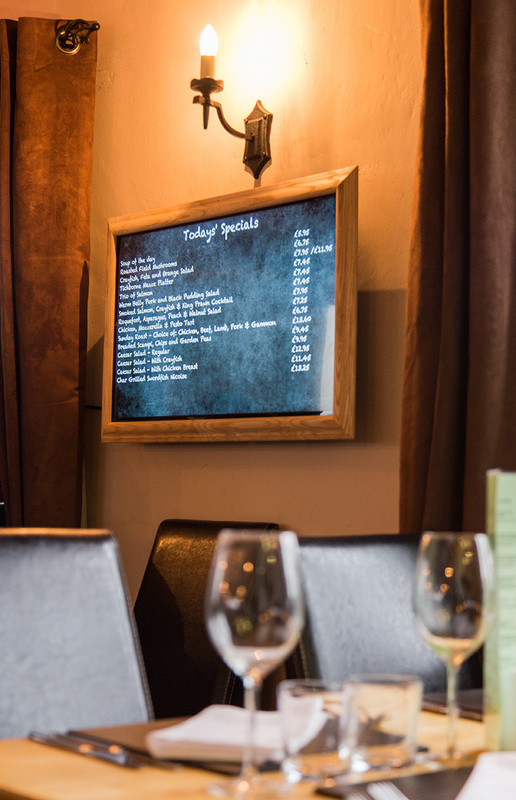 The layout is designed to show the various menus they have (sunday lunch, light bites etc) for customers to browse the menu items and discover more information including images, further descriptions and crucially; the allergen information for each dish. 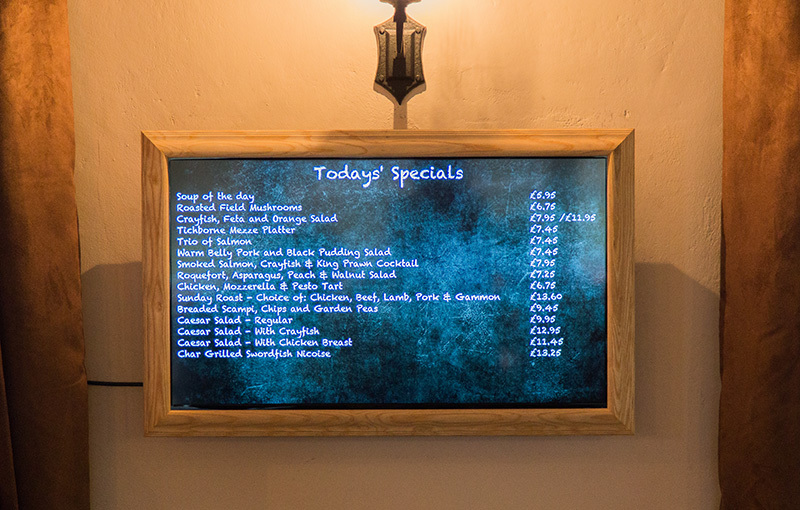 To provide a modern approach to the specials boards and dessert information, we provided two 32″ Samsung Smart Signage Platform Digital Signage displays, one mounted in portrait in the main bar area and the other one mounted in landscape in the restaurant that were housed in wooden framed surrounds. 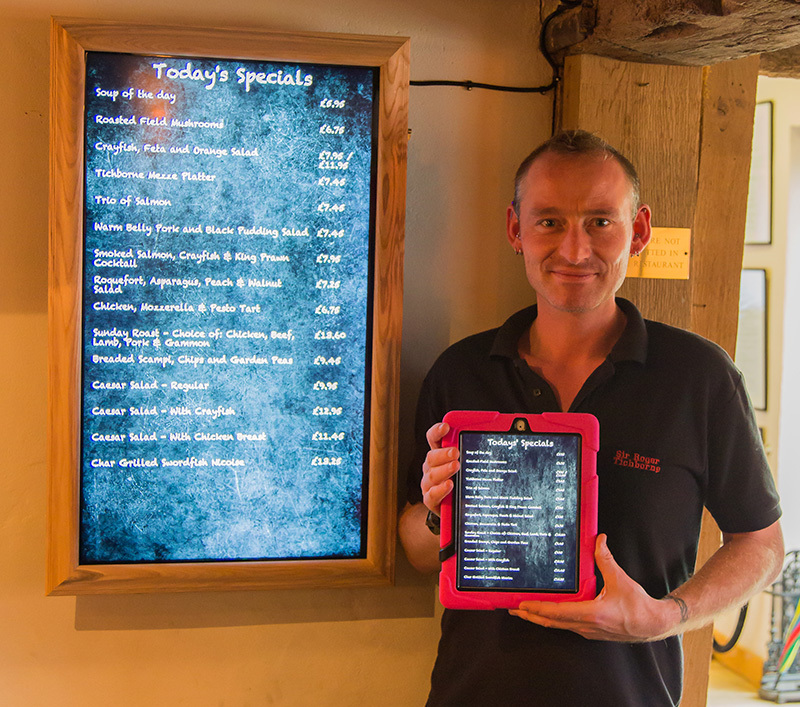 We also supplied two iPads which are handed to customers at their tables to view the days specials and desserts in either portrait or landscape. All of the content displayed at The Sir Roger Tichborne (specials and allergy information board) is managed by the staff internally by uploading Excel spreadsheets. 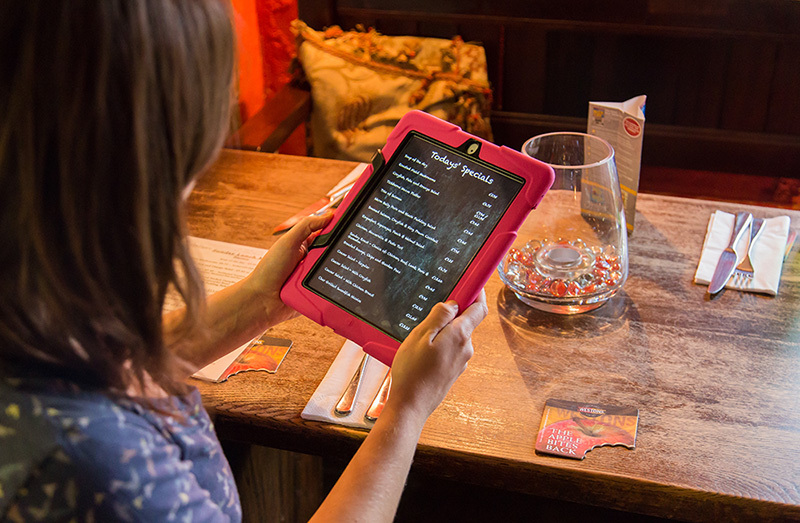 This solution has improved the operational efficiency of the venue by saving hours of time that used to be spent handwriting, updating and refreshing specials and menu boards everyday.